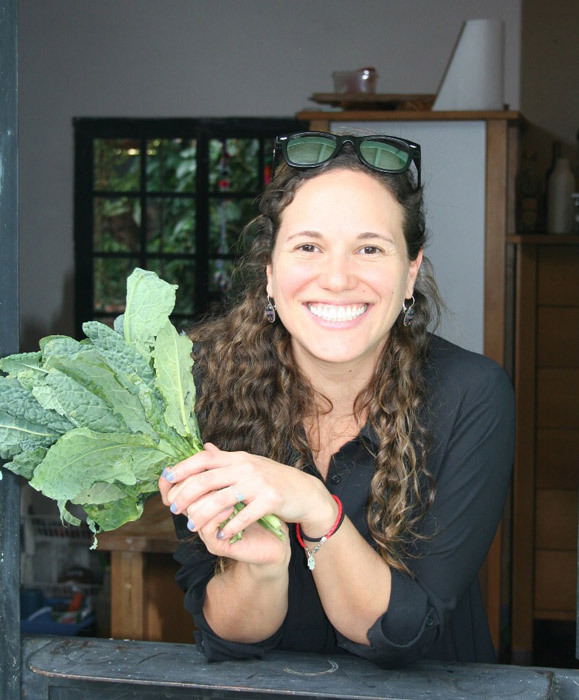 On a characteristically sunny day in La Antigua Guatemala I sat down with Michelle B. Sultan, the founder of La Botica Verde to discuss her plans for the company. As we sat at her office in Panorama sipping some delicious organic coffee, I could feel her excitement and energy – and caffeine was the last thing she needed! Q: What is La Botica Verde? 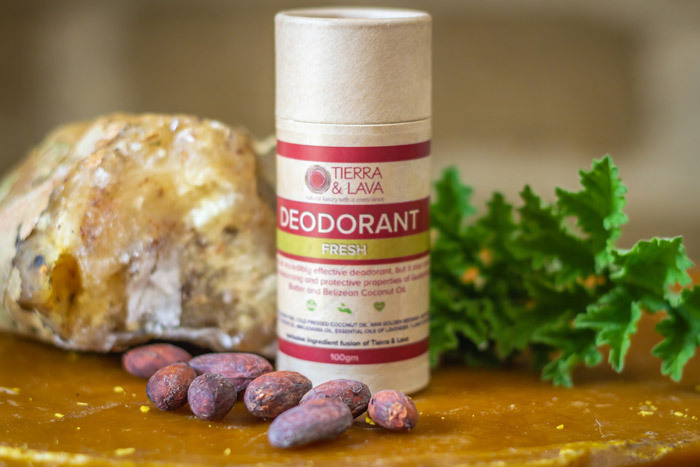 La Botica Verde is a social enterprise that provides on-demand access to organic produce, natural cosmetics, ecologically-friendly cleaning supplies and zero-waste products. Order online before Saturday at noon, and everything will be delivered fresh straight to your door! Every product in our store has been hand-picked upon order to ensure that it is the healthiest option out there that we could find. We make it easy for people to make better choices. The food we eat is our health insurance. We are a no hassle, guilt-free, zero waste company that puts health first: the health of our clients, the health of our producers, and the health of our planet. Our products are sourced locally, connecting small farmers to new markets. We personally vet each farm to guarantee that our clients receive the freshest, highest quality, organic foods that they can trust. Q: How did you get the idea for La Botica Verde? 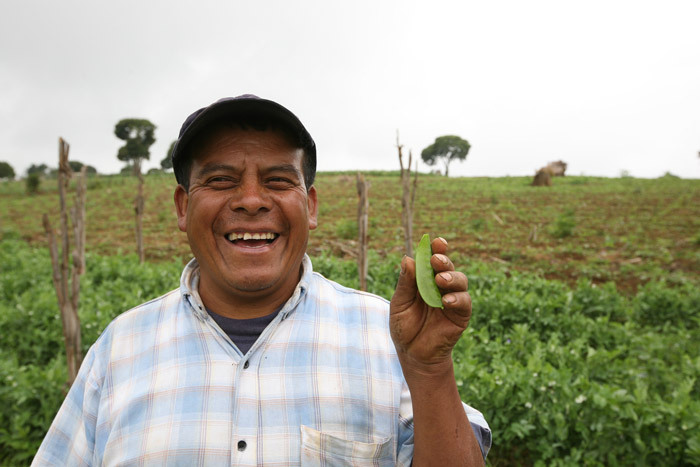 My journey into agriculture started when I was working with farmers in rural Guatemalan communities in 2008. I couldn’t understand how in a country that produces so much food we could have the worst child malnutrition index in the entire western hemisphere. As I started doing research, I realized I had never grown anything myself! I started my first garden in 2009, and I fell in love with agriculture. It was around then that I also began experimenting a lot with cooking. Since my roots are Latin, Middle Eastern and European, I grew up in a household eating foods from around the world. My love for food made me realize that the key to amazing tasting meals is the quality of the ingredients. My time in the U.S. also made me realize that we just don’t have easy access to organics here in Guatemala. As I ventured deeper and deeper into the world of agriculture, I realized how important our food systems are to the survival of our species. The way we are doing agriculture right now is utterly devastating. Our food systems need to be in harmony with our ecosystems. This is where organic ag practices come in. 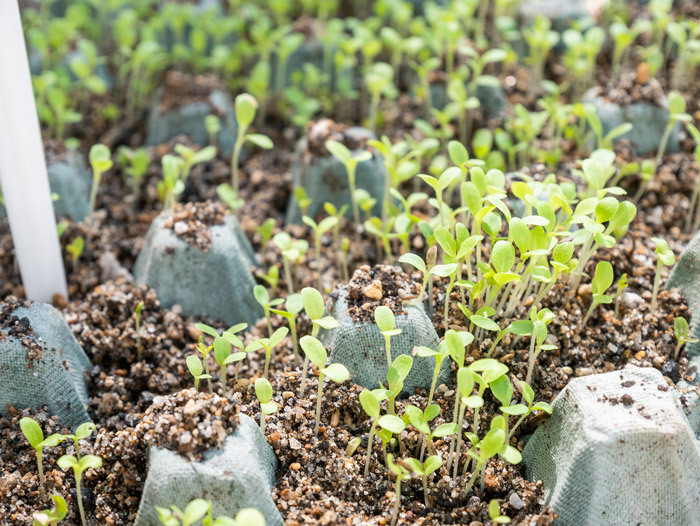 Not only do these systems produce healthy, nourishing, incredibly tasting foods, they can also help producers and their families have a better quality of life and preserve our natural resources for future generations to come. For me, La Botica Verde is a trifecta — it’s a win for the consumers because they’re eating delicious, nutritious foods and using ecologically-friendly products; it’s a win for the small producers because they have a new market that pays livable prices — and it’s a win for our environment. Q. 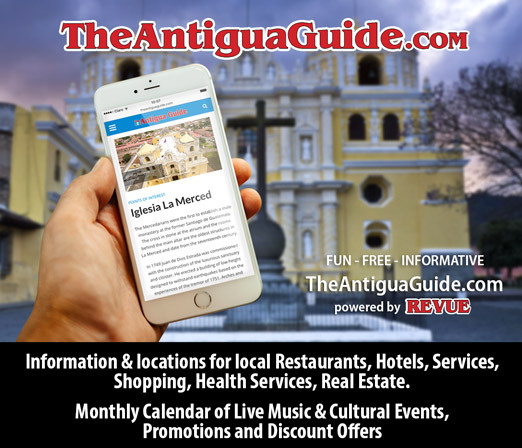 Why the name La Botica Verde? In short, if you will, we’re a Green Pharmacy. In the past, pharmacies were known as “boticas” — this was back when the pharmacists would prescribe prescriptions for what was ailing people. And of course, verde means green in Spanish so this is what most of us imagine when we think organic foods. That, and also the Green Movement. I’ve always liked the Hippocrates quote, “Let food be thy medicine.” That’s the idea behind the name – food is our medicine. 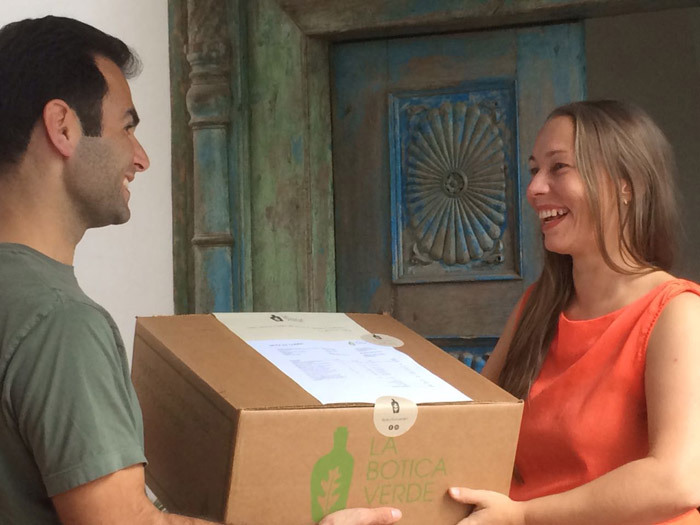 Q: How have your customers reacted to La Botica Verde? Our customers have been thrilled with the service. 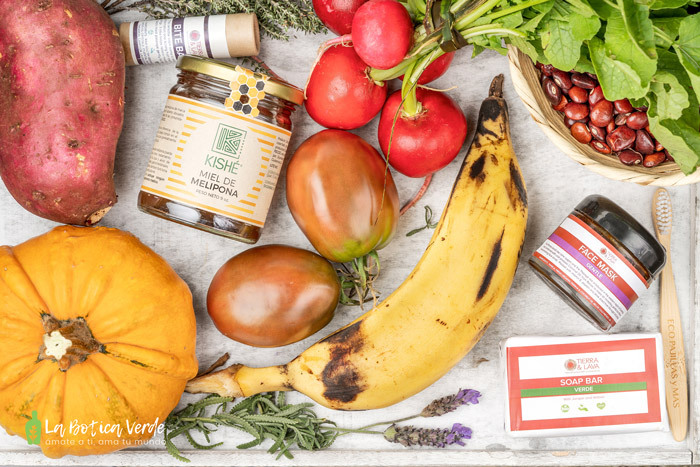 We work with Kassia, a holistic chef and nutritionist and this is what she has to say about us: “I buy organic because I believe it is the most ethical and responsible choice we can make as consumers for our health, the environment, and our local community. Other customers talk about how easy the website is to use and how they can place their weekly orders in less than five minutes. 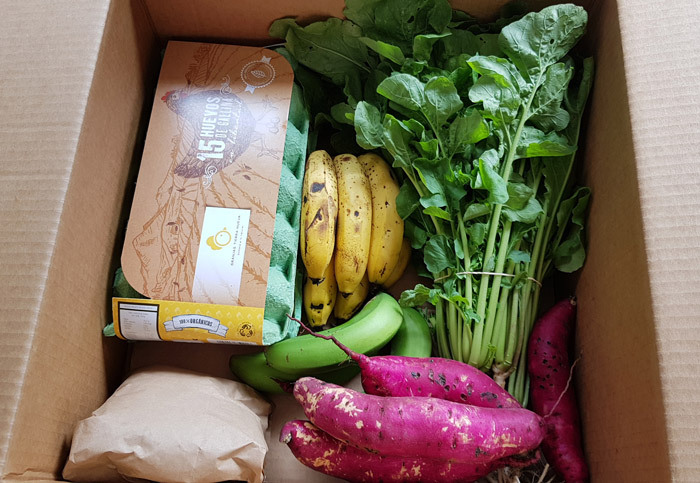 Our expat customers are especially happy that they’re able to find organic products in Guatemala and how convenient it is to have them delivered straight to your door. And we’ve had a lot of comments about how the food is incredibly fresh and tastes so much better. Q: How have the producers reacted to the service? They’ve been happy with the service too. We’re still small, producers can see that we’re growing. By placing weekly orders, the farmers have more consistency and stability, which gives them the opportunity to plan better, not only for the farm but for their families as well. The fair pricing allows them to earn a livable wage. It’s also easier for them because the pricing is fixed, and they can deliver to one location. We’ve created a market for them that they wouldn’t be able to reach otherwise. Q: In your opinion, why should people eat organic food? According to USAID, Guatemala is one of the most ecologically diverse nations on the planet, with 14 different eco-regions and great biological and cultural diversity. Guatemala has the largest forested area in Mesoamérica and the second largest contiguous forest in the Americas after the Amazon, but these areas, face threats related to habitat loss, deforestation, over-exploitation of natural resources and environmental contamination. In addition to these threats, Guatemala is vulnerable to the impacts of climate change. Food that’s grown using conventional agricultural practices is not as nutritious as it was in the past because the earth has been depleted of nutrients. Crops are also fumigated with agrochemicals that can be harmful to our health. According to a study by Newcastle University, “conventionally-produced crops contain 18-69% fewer antioxidants, are four times as likely to contain pesticide residues, and have, on average 48% higher concentrations of heavy metals (including cadmium) than organically-produced crops.” Conventional farming practices are also devastating to our planet, leading to the contamination of natural resources and biodiversity loss. Producers working in these farms tend to be paid less than minimum wage and are often exposed to hard, and even dangerous, working conditions. People should care about eating organic because foods grown using these standards are better for our health, for the health of the producers, and the health of our planet. The produce that comes from plots with increased soil fertility are more nourishing, and the taste is fantastic! Food grown using organic standards are better for our health, and the health of our planet. Q: How can people order from La Botica Verde? 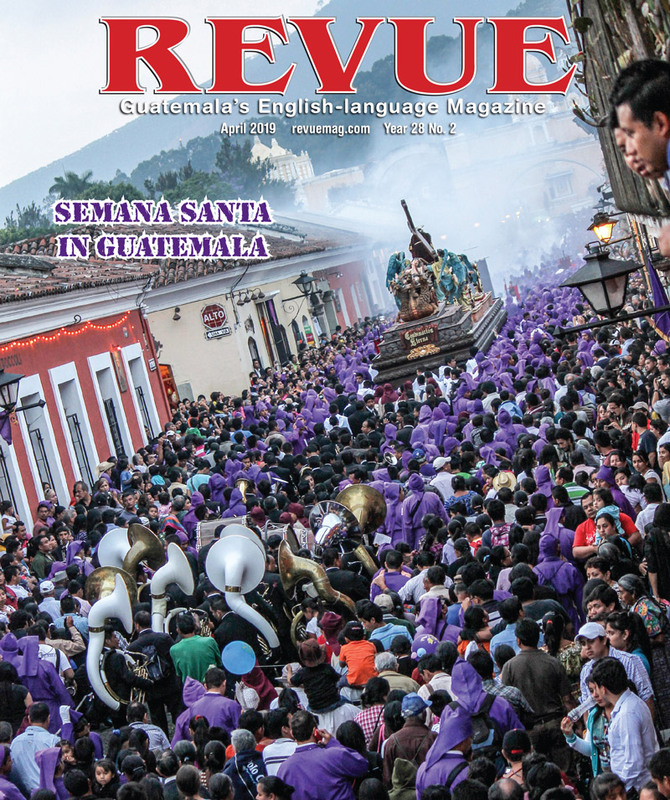 Delivery is available in Antigua and Guatemala City. 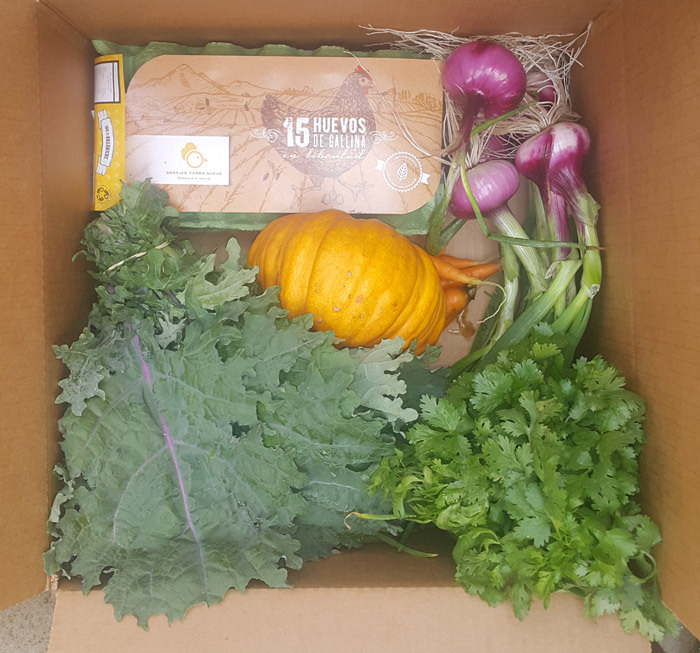 Order online at www.botica-verde.com and choose from more than 100 products (new products are being added weekly) or choose a weekly pre-made box. Orders can be placed up until Saturdays at noon and are delivered on Tuesdays straight to your door between 1-5 pm. Delivery is free on all orders 250Q and over. Payments can be made online via credit or debit card. 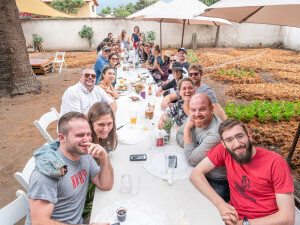 La Botica Verde hosted its 1st Food Lab at The Garden with guests Annie & Felix on Saturday October 13, 2018. 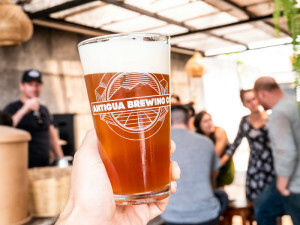 The event featured craft beers from Antigua Brewing Company and locally-grown coffee from De La Gente. Annie & Felix cooked up a delicious brunch menu showcasing local, organic ingredients provided by La Botica Verde. 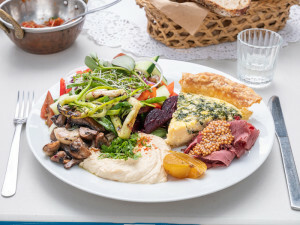 The menu included hummus with sautéed mushrooms, ajvar (roasted red pepper & eggplant), buffalo ham, goat cheese, pickled mustard seeds, quiche with kale & spinach, pain perdu (french toast) with berries & ice cream, and an assortment of their famous sourdough breads. It was a fabulous Saturday afternoon surrounded by good company and fun summer vibes. Stay tuned for La Botica Verde’s next Food Lab which will feature a new guest chef and microbrewery at The Garden sometime in late November.